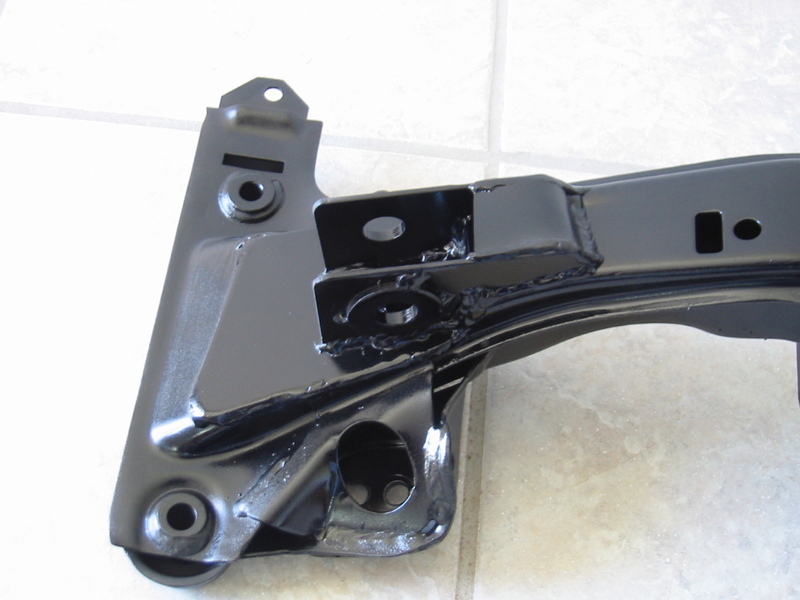 Late DTM92 style front axle for BMW E30 and E36 chassis. The ultimate in light weight suspension, full geometry adjustability, steering precision and stiffness. Used successfully on championship winning rally cars and 24h of Nuerburgring. This is late DTM92 style. It does not get any better than this for our type of suspension, except perhaps to change your struts to the DTM magnesium style housings (which is possible, but not without consequence for other systems e.g. race ABS or what not). It is the ultimate in light weight suspension, full geometry adjustability, steering precision and stiffness. This suspension will work on e30 and e36 chassis race cars and even some E46 cars have used DTM struts and suspension (see GTR class cars in Germany). These are used successfully on championship winning rally cars under adverse conditions and they survive 24h Nuerburgring races and even some front shunts without incident. Please note that the control arms are SIDE specific -- in contrast to some earlier setups which try to be universal meaning that they try to fit them to both sides (which is not optimal). 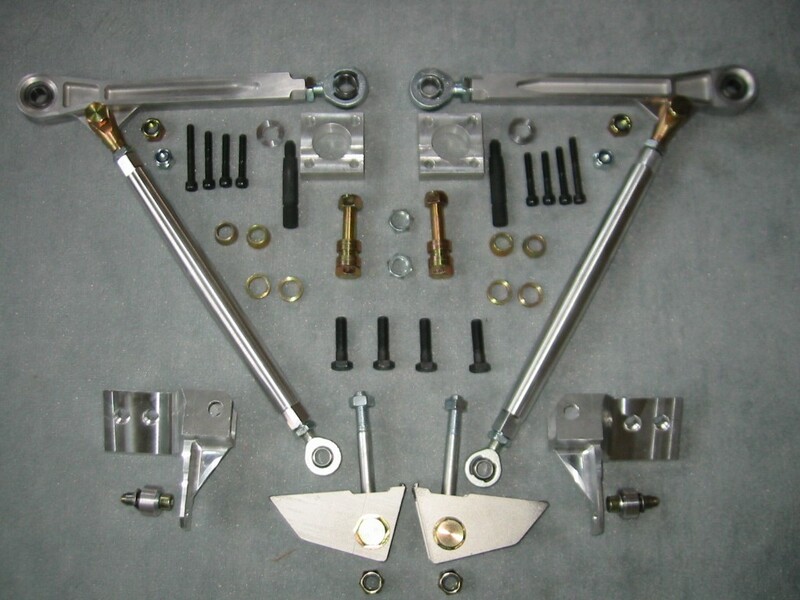 The control arm must be attached to the clevis on the front subframe using spacers as shown in the picture above. 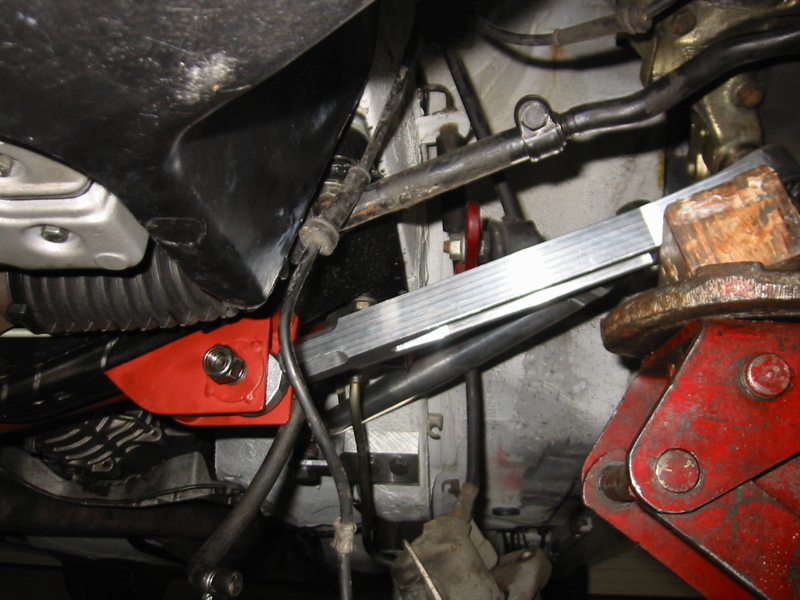 The spacers ensure that the control arm's inner rod-end is correctly centered in the clevis. 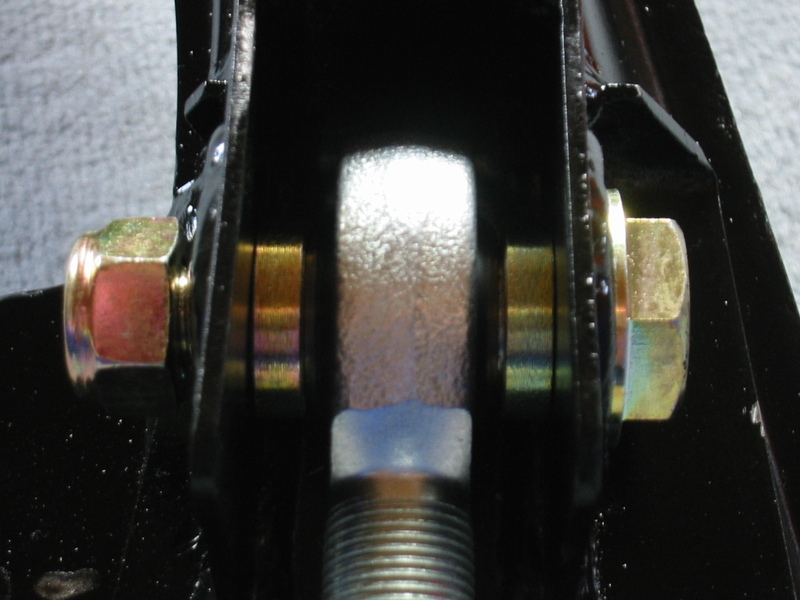 The control arm's outer joint is mounted using conus bearing as shown above. 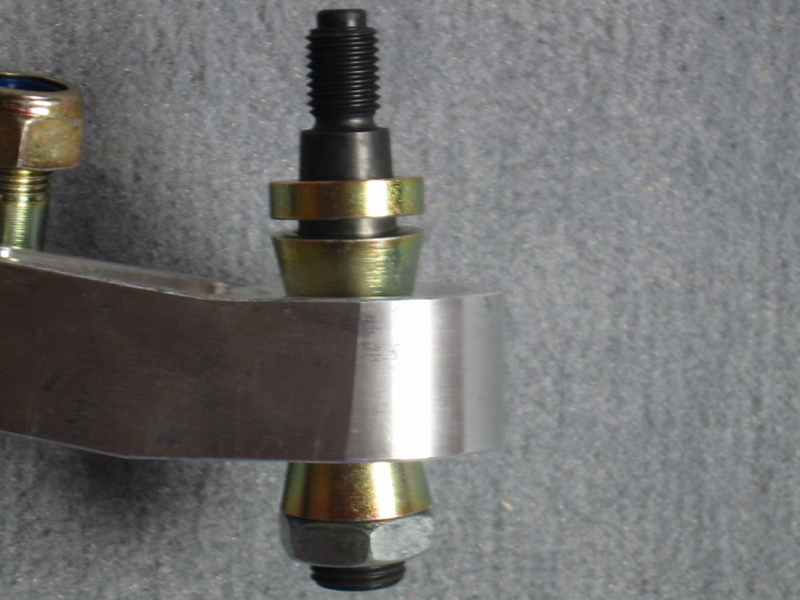 The mounting position can be adjusted using the supplied spacer. Installation of the spacer is not absolutely required. Installation of the fork on the radius arm and attachment to the control arm is shown in the above. 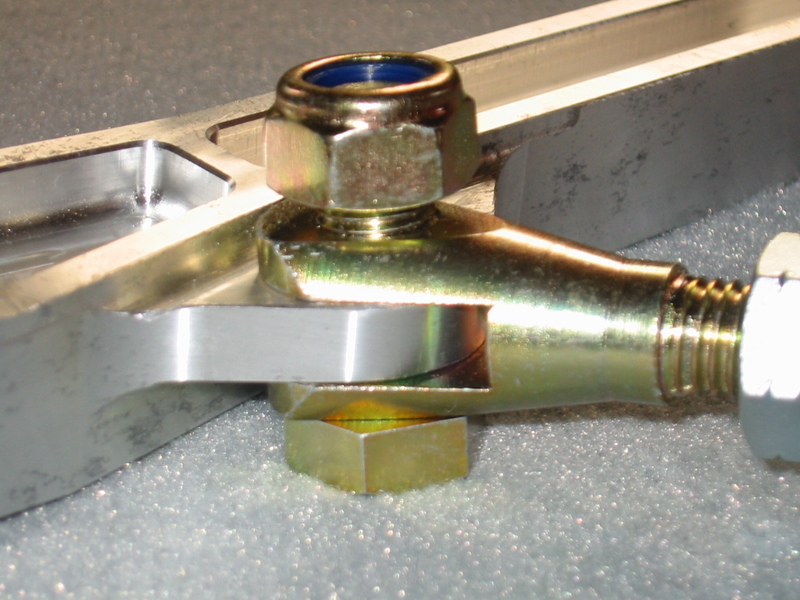 Installation of the radius arm rod-end in the chassis mount is shown above. 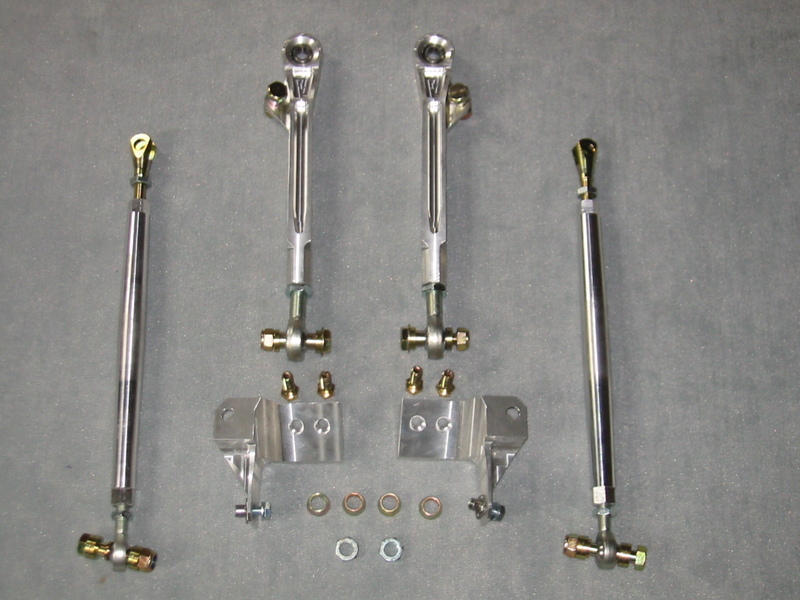 The supplied spacers must be used both above and below the rod-end to ensure proper clearance under all conditions. 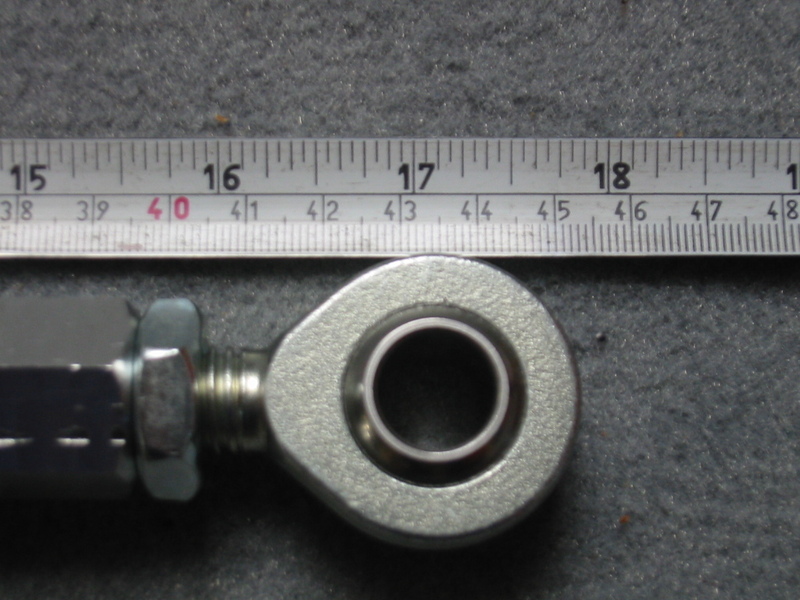 With the large spacers it is possible to adust the height of the radius arm and thus change the vehicles anti-dive characteristic. Moving the arm up results in less dive and moving the arm down in more dive when the car is braking. 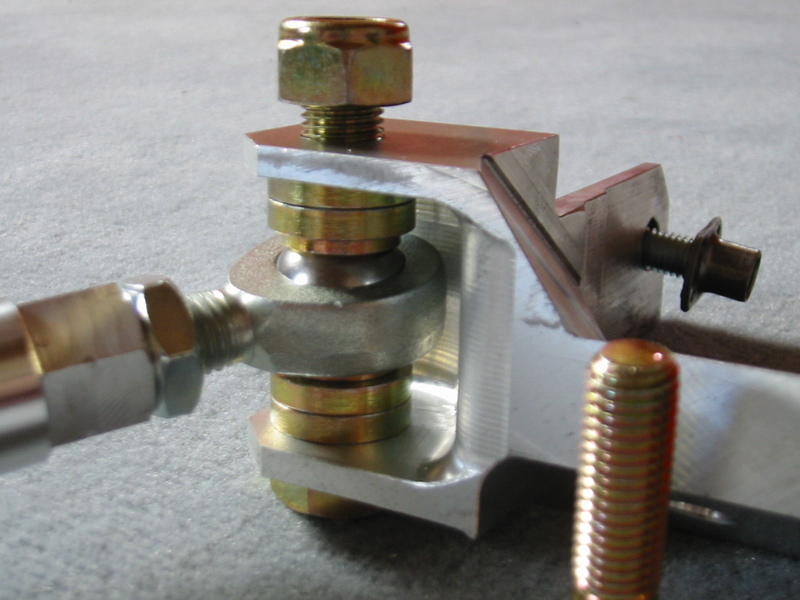 In order to secure the chassis mount which accepts the radius arm a hole must be drilled and the supplied threaded nut welded into the chassis rail. 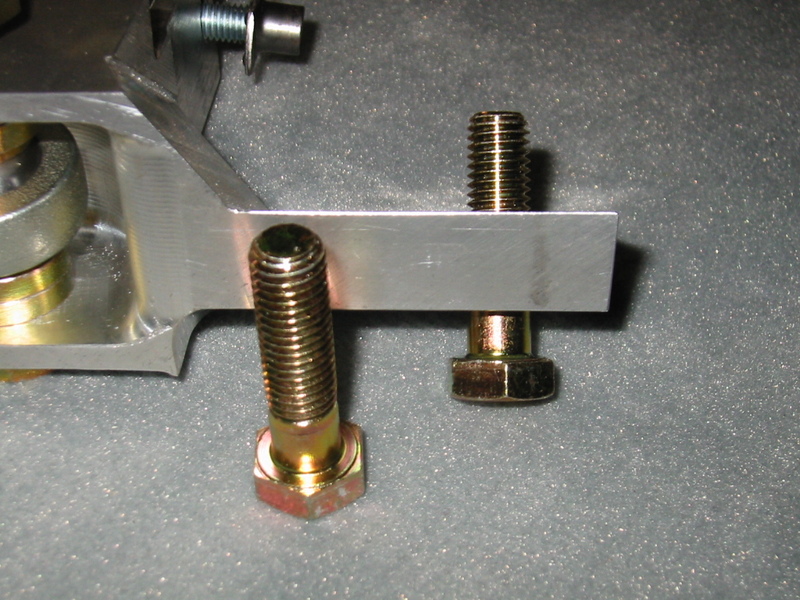 E30 only: install a spacer between weld-in nut and chassis mount. Use the supplied screws M12x1.5 to attach the other points of the radius arm mount to the chassis. The existing threaded holes in the chassis must be enlarged. 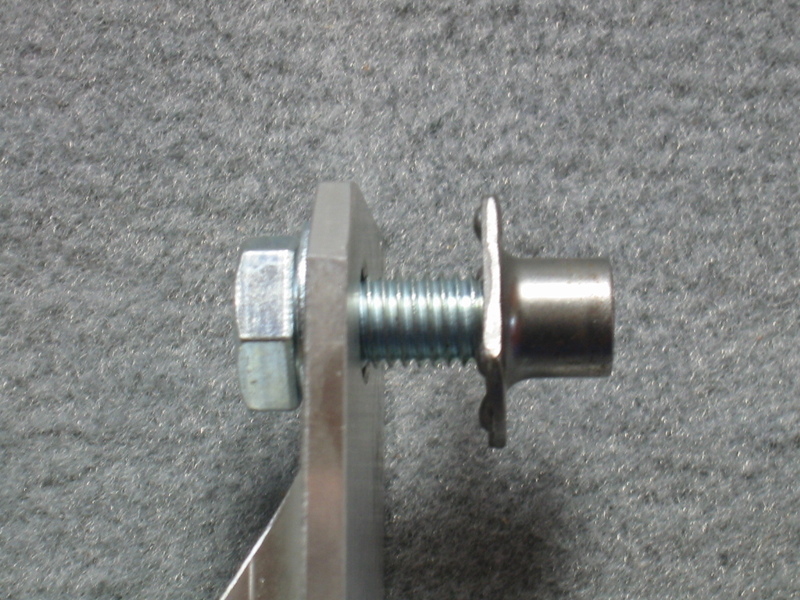 It is possible to use longer screws with stock thread size if desired (not supplied). 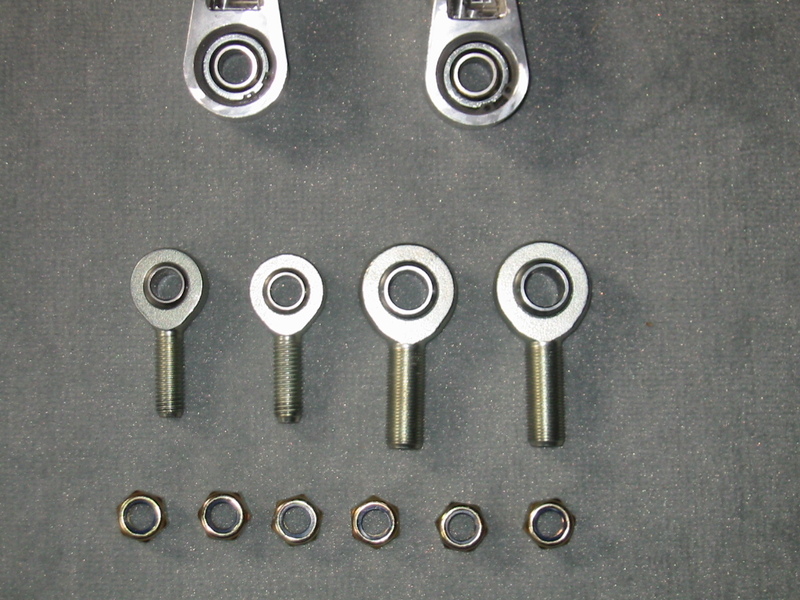 In order to achieve the stock wheel position, the control arm is adjusted to a length of 340 mm measured center to center between the bearing ends. 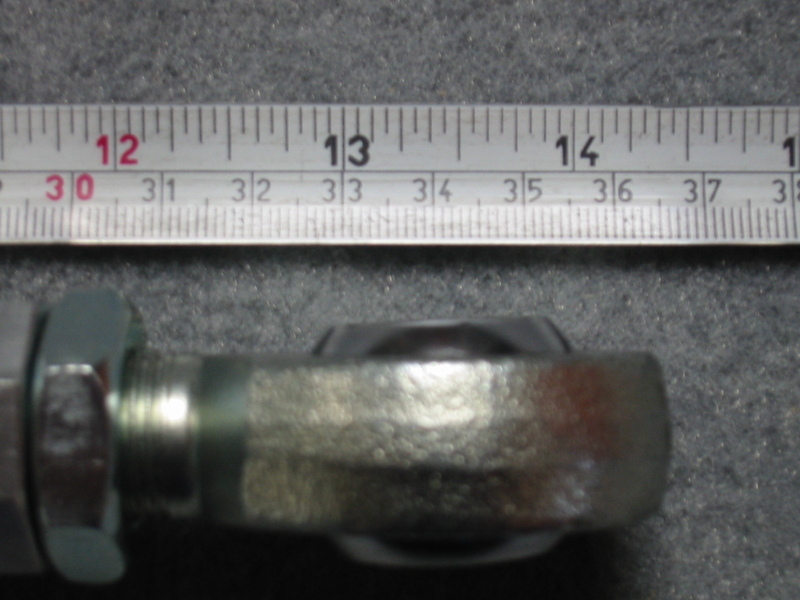 Zoomed picture from above showing the control arm measurement. 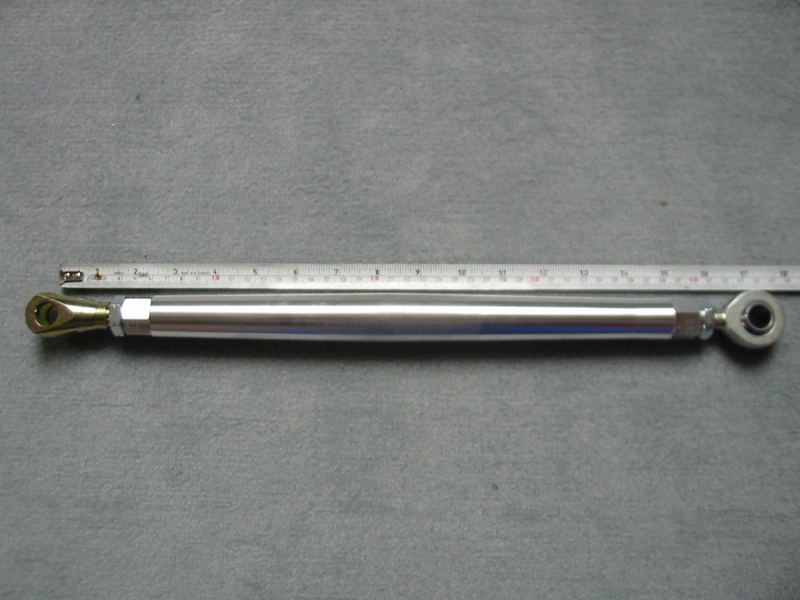 In order to achieve the stock wheel position, the radius arm is adjusted to a length of 435 mm measured between the center of the fork bolt hole and the rod-end center. 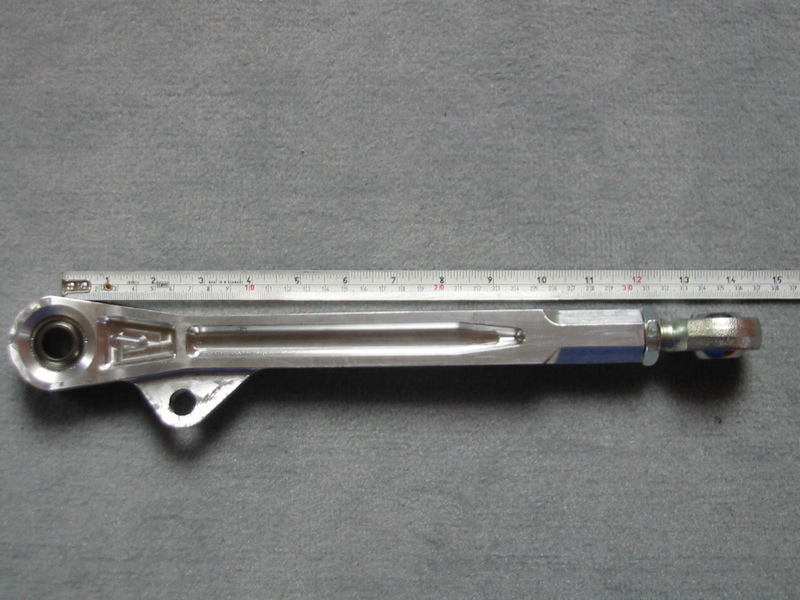 Zoomed picture from above showing the radius arm measurement. Note that this is just a basic setting to give you a start. From here, you may want to increase the trackwidth and camber by adjusting the control arm outward. The chamber change is in addition to whatever change your adjustable camber plates will allow. This change in trackwidth will not change your scrub radius (this is the distance between the projection of your strut and the center of the wheel). By contrast, if you add a thicker wheel spacer you will increase your scrub radius. Furthermore, there are different bump spacers (also sometimes called "ackerman" spacers) available. 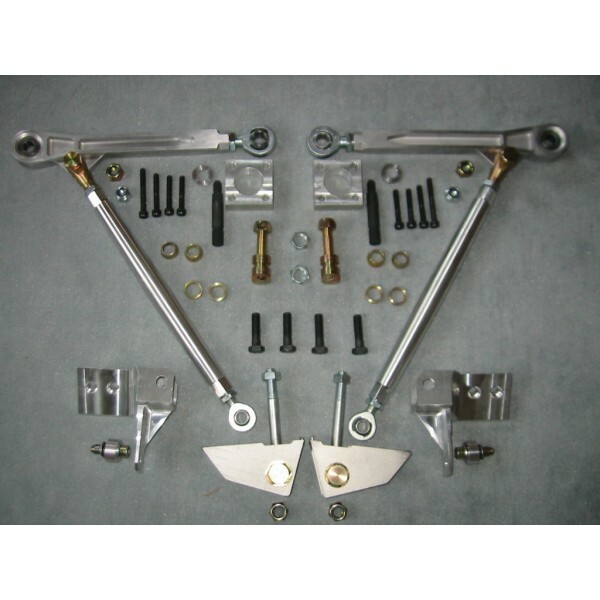 This attaches between the bottom of your strut and the steering knuckle. On a very low car, you will most likely want to use a 25 mm spacer. There is also a reinforced (ribbed) slightly altered pickup steering knuckle available (Im running a set of these on my current struts). Which mod is mostly likely your next one?